It’s August, and I’m already lamenting the loss of summer. I feel my time to enjoy the sunshine and swim in our pool is being consumed by endless tasks. I’m ready to escape the daily grind and get back to nature before it’s too late. The only good thing about the impending close of summer is that autumn follows. As much as I adore the fullness and warmth of summer, I love fall even more! It’s a spectacular, colorful celebration of change—and possibly the only time humans feel compelled to embrace this one constant in our lives. Fall is also a great time to get outdoors and appreciate nature. The cooler temperatures make for more pleasant hikes, the summer crowds have thinned out and the animals start moving to lower elevations, which is great for wildlife viewing. Summer is a time I often relax at home and enjoy the fruits of my labor; fall is when I come back out to explore again. As we plan for our upcoming RV road trip across America, Montana is on my mind. We recently shared the incredible Native American cultural experiences you can have in Montana. 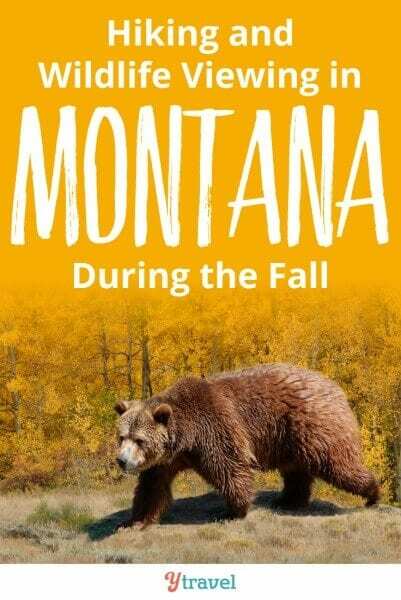 Now we’re sharing with you (in partnership with Visit Montana) the incredible hiking and wildlife viewing you can experience when you visit Montana in autumn. Montana has a greater variety of native wildlife than anywhere else in the lower 48. From bison to mountain goats, grizzlies to wolverines, wildlife viewing in Montana is abundant and spectacular, especially in the national parks and wildlife refuges. 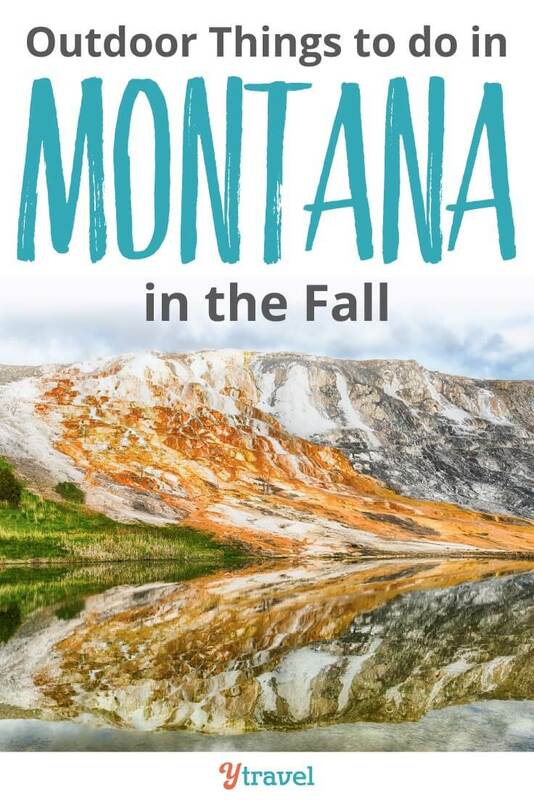 There are endless things to do in Montana in the fall. Here are some of the best places to visit in Montana during this season for hiking and wildlife viewing. Is there a National Park more iconic than America’s first national park? Now you may be thinking, “hang on, isn’t Yellowstone National Park in Wyoming?” Yes, but parts of it also extend across the border into Montana, and three park entrances are located in Montana. Oh, the beauty that a geyser can bring! Yellowstone has more than 900 miles of hiking trails, ranging from short and easy day hikes to multi-day treks. You can see geysers, colorful hot springs, mud pots, multiple rivers, the Grand Canyon of the Yellowstone and, of course, wildlife. You might be expecting to see beavers on this 5 mile Yellowstone hike, but they aren’t the only furry friend that calls this national park home. This Yellowstone hiking trail is known for its bear activity, so be on the lookout and come prepared. 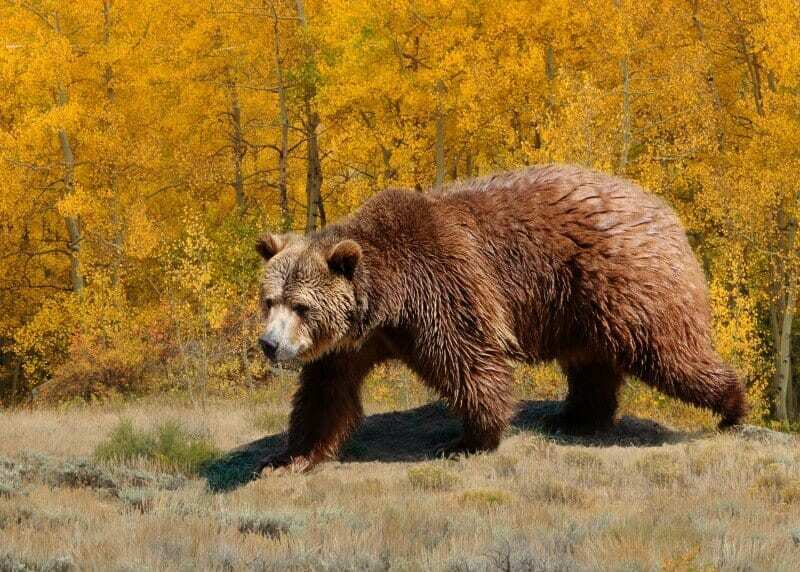 I’ll admit, I am scared of grizzly bears, but it gives me great comfort to know many people hike the trail without any trouble and there are lots of bear safety tips out there. 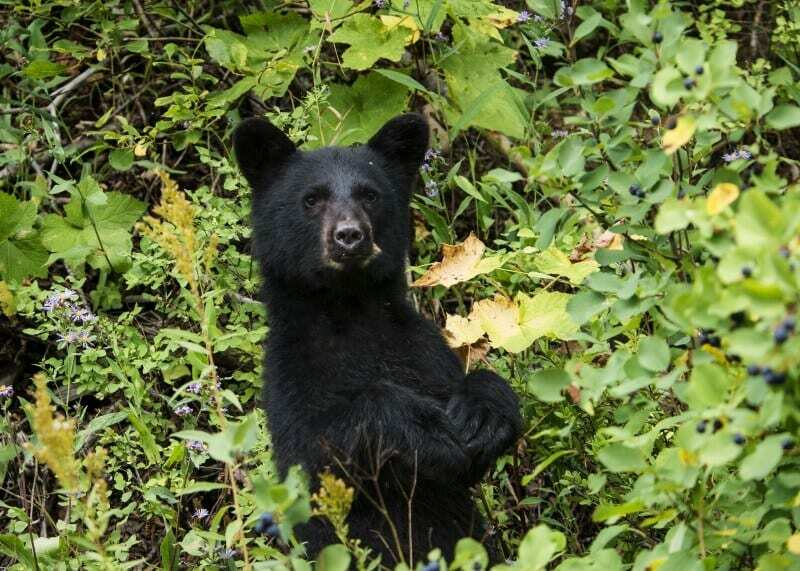 Click here to read wildlife viewing safety guidelines in Montana. The trail begins at the lower Mammoth Terraces with a 350 ft. climb up the hill. The Beaver Ponds Loop hike then takes you to unique ponds nestled in the forest and open sagebrush meadows with expansive views down to Yellowstone River. 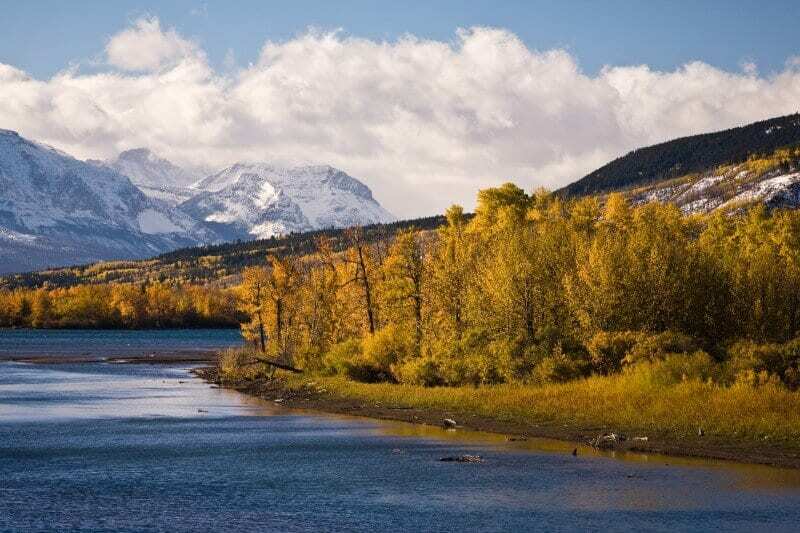 It’s an area known for elk, mule deer, pronghorn antelope, moose, beaver and waterfowl. Being a loop walk means the scenery and surprises will be different on the entire hike. I know loop walks motivate our girls more than a return one. 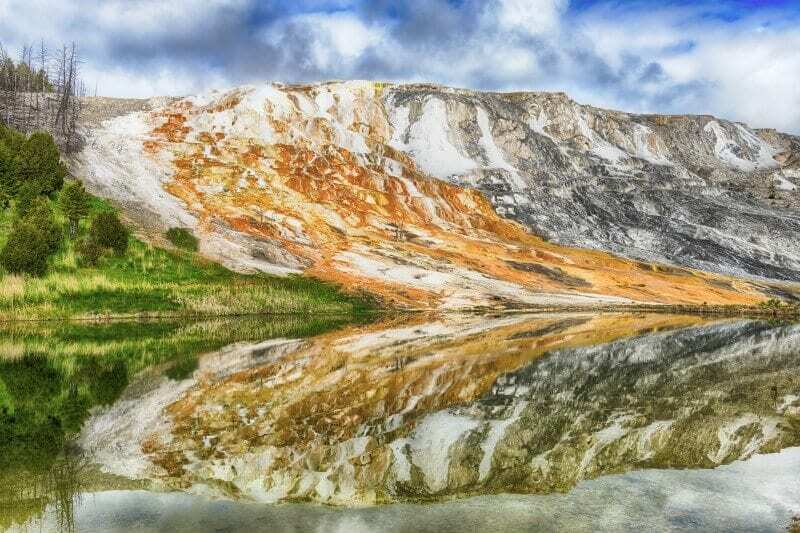 This Yellowstone hike is of moderate difficulty with a gain of 350 feet and is in the Mammoth Hot Springs Area. The recommendation is to start at the Mammoth Terraces so you have a shorter uphill section. Looking for a unique hiking experience in Yellowstone National Park? 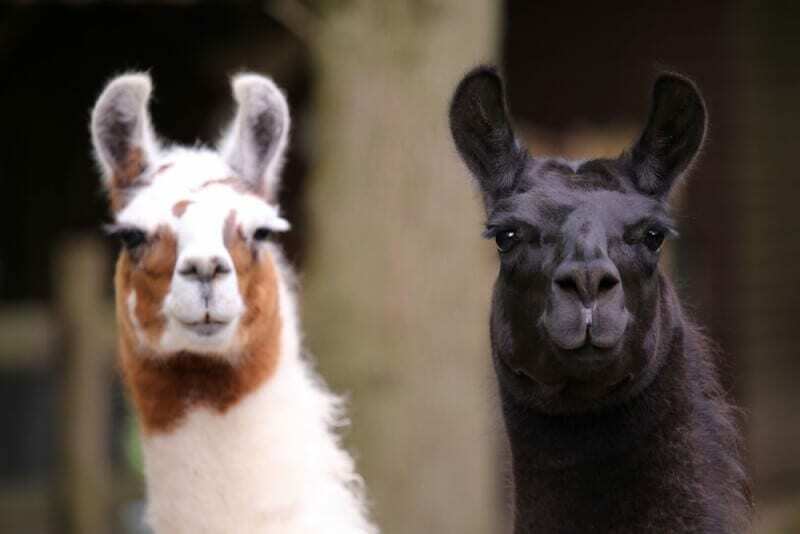 Let a llama lead your way. Your gentle, long-eared hiking buddy will walk with you on beautiful trails while carrying your load. Experienced guides will help you explore Yellowstone backcountry, teach you about the park’s ecosystem and help you find wildlife in their natural habitat. Yellowstone Llamas offers multi-day backcountry pack trips in Yellowstone National Park with knowledgeable guides and gentle, well-trained llamas. Enjoy hiking, camping, wildlife watching, fishing and good food. Treks are suitable for families and young children as well as groups of adults. 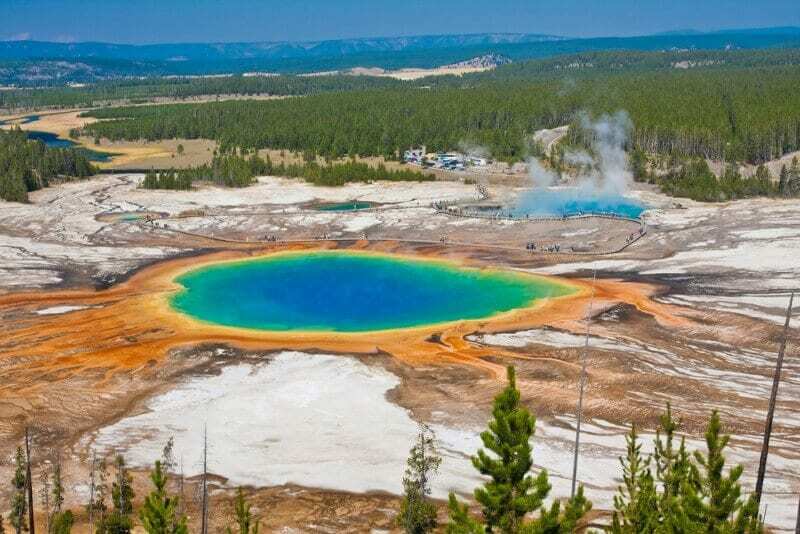 Here are tips for visiting Yellowstone National Park with kids. The scenery in Glacier National Park is said to dissolve your stresses and cares in an instant. In the fall, autumn leaves burst with color complementing the epic mountain scenery. Glacier is the headwaters for streams that flow to the Pacific Ocean, the Gulf of Mexico and to Hudson’s Bay, making it the Crown of the Continent, a precious and important national park. It’s a huge national park that stretches over into Canada and includes 762 lakes, 563 streams, 175 mountains, over 700 miles of hiking trails and 26 active glaciers. This is Big Sky Country after all! Want to see the best that Glacier National Park has to offer? 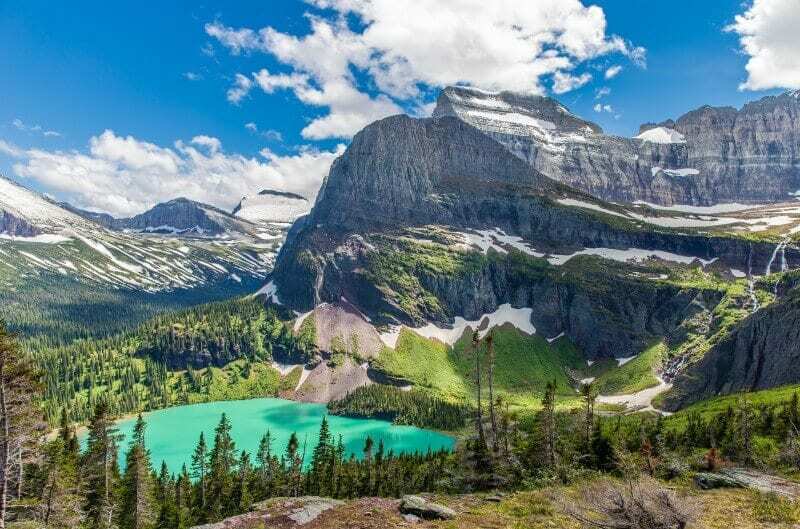 Then jump on the Grinnell Glacier hike, known to be one of the most beautiful hikes in the world and, because it showcases everything that makes Glacier epic, one of the most popular in the Glacier National Park. I’m talking about lakes, waterfalls, forests, alpine views and the park’s most iconic glacier, Grinnell Lake. The hike follows the shores of Swiftcurrent Lake and Lake Josephine and elevates you to breathtaking views of the Angel Wing mountain peak, the Garden Wall of the Continental Divide, and Grinnell Lake. The stunning aqua-blue water of Upper Grinnell Lake is a sight to behold with the receding glaciers along the mountains surrounding the lake. What a way to finish a climb up. Be sure to stop for a while and savor the reward. If you leave early enough, you’ll get there before the crowds. 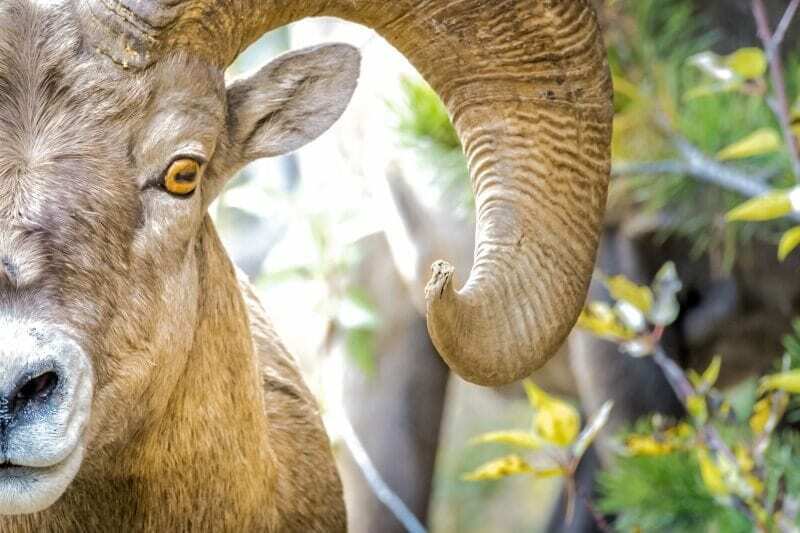 Look out for bighorn sheep, deer, mountain goats and bears along the trail. Be sure to take bear spray and proper hiking supplies. Depending on fitness, the trail is moderately difficult. It is strenuous due to its length and an elevation gain of 1,600 feet. Cracker Lake is one of the most beautiful lakes in the world and one of the best hikes in Glacier National Park. This beautiful turquoise-colored glacial lake is surrounded by a natural cathedral of towering walls and peaks. One feature is the great North Face of Mount Siyeh towering over Cracker Lake in Glacier National Park. This giant wall is one of the tallest in North America, and it has only been climbed once. 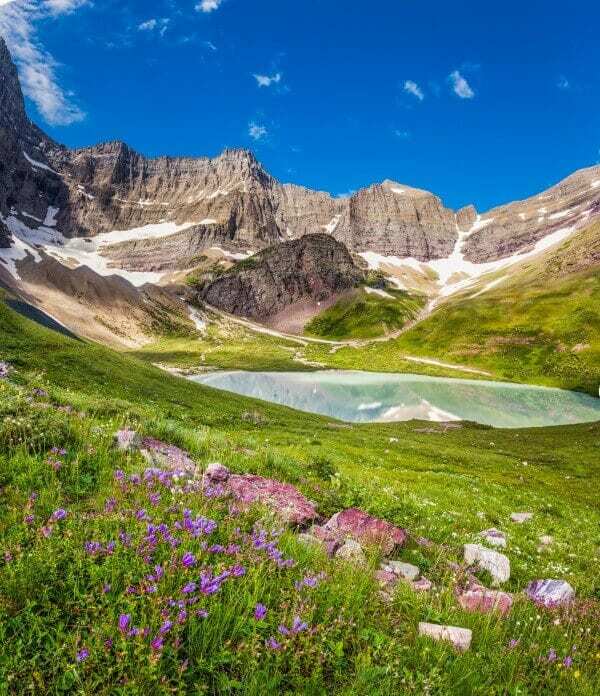 The popular Glacier Park hike to Cracker Lake is over 12 miles roundtrip with a 1,400-foot vertical gain in elevation. It includes wooded forests, grand views of lakes and mountains, creek crossings, distant waterfalls, mining ruins, possible wildflowers and wildlife, and a relaxing swim in the lake if you need a cool down. 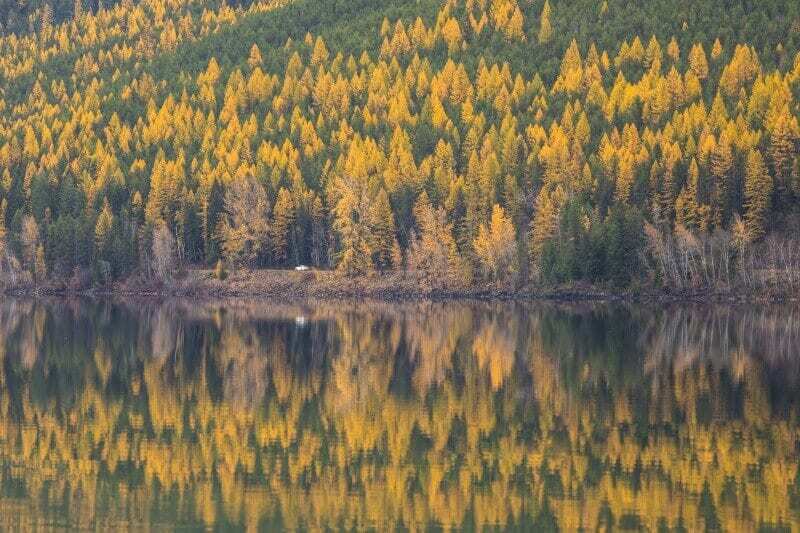 Although would swimming be a thing to do in Montana in the fall? We recommend saving this for a summer hike. 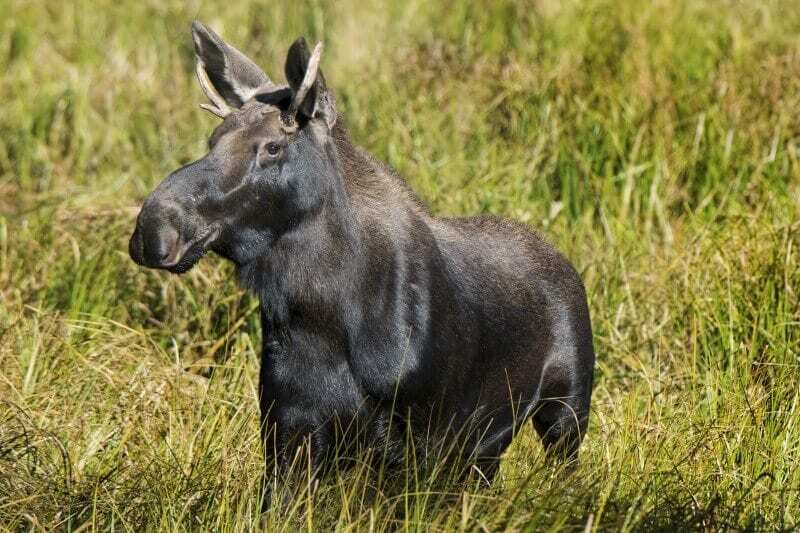 There have been moose sightings at the lake, and marmots, which are large squirrels, live around the campsite. Mountain goats frequent this area—it’s also bear country, so put your singing voices on and make a bit of noise. If you’re looking for effortless wildlife viewing, especially with kids, then jump aboard the popular open-top Glacier Park Red Bus tours. This allows you to see and photograph wildlife from a safe distance. These 1930s-era vintage buses with roll-back tops accommodate 17 people, four across on bench seating. 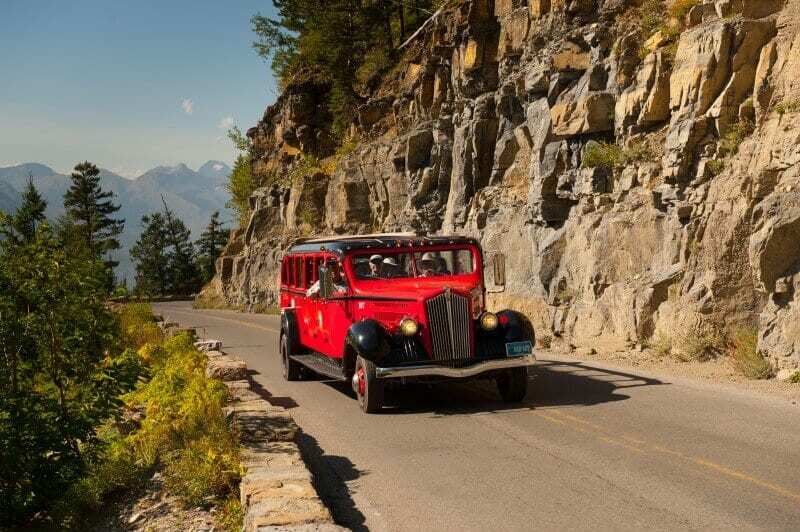 Not only do you get to relax and watch the wildlife, but you also get insider information about Glacier National Park from knowledgeable Red Bus drivers. Tours last between 2.5 and 8 hours, depending on which one you choose. You cannot visit Montana without bison watching. The Great Plains were once home to 60 million bison. It hurts my heart to know that now Montana is one of the last places where bison live in much fewer numbers. They’re mostly found in Yellowstone National Park and at the National Bison Range in Montana. The National Bison Range is one of the oldest wildlife refuges in the country. President Theodore Roosevelt established the National Bison Range in 1908 to provide a permanent home for bison. The 18,500-acre range home to about 300-400 bison. 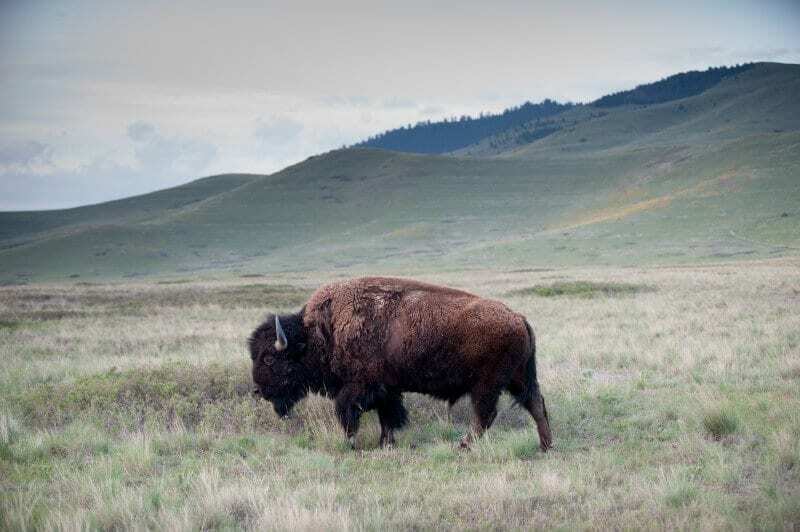 Because of its open grasslands, the Bison Range is a perfect place for the public to enjoy some excellent wildlife observation and photography. 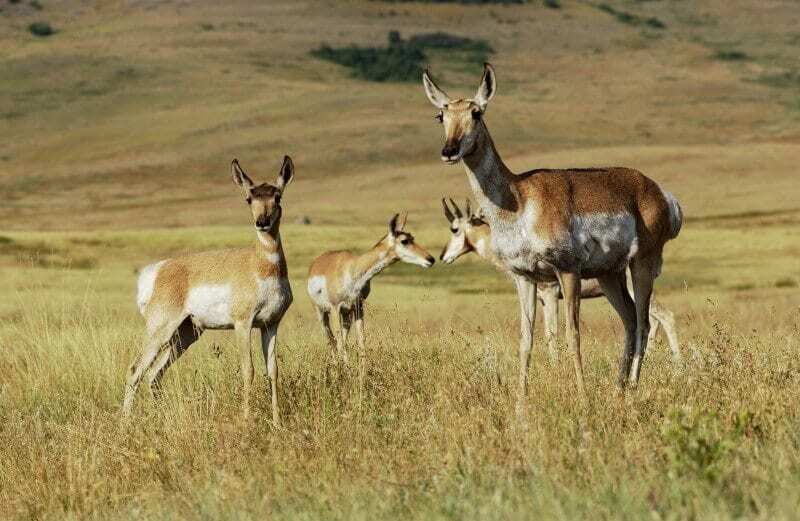 Other large wildlife found on the Range include elk, white-tail and mule deer, pronghorn antelope, bighorn sheep, black bear, coyote and ground squirrels. Over 200 species of birds also call this home including eagles, hawks, meadowlarks, bluebirds, ducks and geese. The National Bison Range is only about an hour drive from Missoula. Big Sky Safaris offers guided tours of National Bison Range and the nearby area with a local nature guide. It’s most cost-effective for groups of 5-10 people. At over 2,100 acres, Wild Horse Island State Park is the largest island in the largest freshwater lake west of the Mississippi. 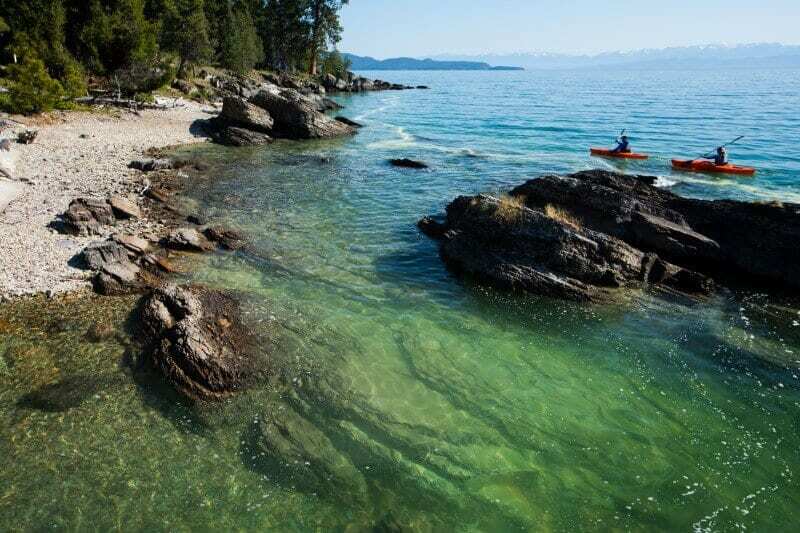 It is situated on Flathead Lake and abounds in opportunity for hiking, fishing, swimming and kayaking. Wild Horse Island has been a landmark since the Salish-Kootenai Indians were reported to have used it to pasture horses to keep them from being stolen by other tribes. Wild horses can still be seen on the island, although in very small numbers. One is all you need to place you in a spirit of wonder! The island is known for more than just horses. Bighorn sheep, mule deer, songbirds, waterfowl, bald eagles and falcons make Wild Horse Island a great place in Montana for wildlife viewing. The island is for day-use only and maintains about 4 miles of trails. Follow the trail to the top of the island for a picnic in a hidden caldera-like formation. Walk up to the rim for a stunning 360-degree view of Flathead Lake, Polson, Bigfork, Lakeside, Kalispell, and on a clear day, even Whitefish and Glacier National Park! To visit Wild Horse Island on Flathead Lake, you will need a boat to access this primitive state park, or you can kayak or paddleboard over to the island (about 45 minutes.) Sea Me Paddle offers guided kayak trips to the island. When you visit Montana, you will spend a lot of time looking at mountains and hiking up them. Now it’s time to explore the belly of the mountains at Lewis & Clark Caverns State Park. 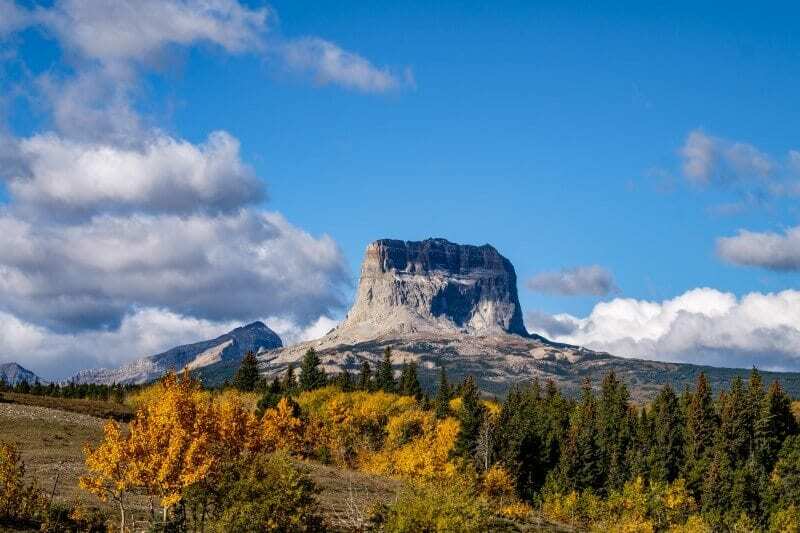 Montana’s first and best-known State Park showcases one of the most highly decorated limestone caverns in the Northwest—President Theodore Roosevelt even designated Lewis & Clark Caverns State Park a National Monument on the same day as the Grand Canyon. It was named to honor the famous explorers who crossed the park property, although they did not discover the caverns. 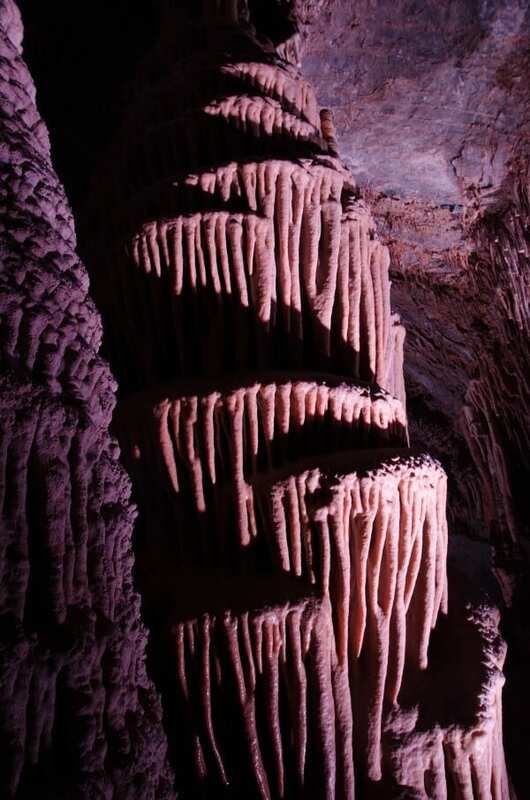 The impressive geological features of these Montana caverns include stalactites, stalagmites, and columns. The only way to see the caverns are by guided tours of the cave. These tours range from easy to adventurous and some even cater to those with physical limitations. Bring a sweater, as the caves are naturally cool year-round. The kids will love the two-hour Classic Tour with its stalactites and stalagmites, the famous Beaver Slide and occasional bat sightings. The adventurous will love the Wild Cave Tour, where you can explore the caverns with only headlamps. Be prepared for a lot of bending, crawling and duck waddling. The tour includes a short hike through gorgeous mountain scenery from the visitor’s center and back. With over 3,000 acres of the park above ground, you’ll find plenty of opportunities for camping, hiking and biking. More than half of the trails are naturally carved by the hooves of deer, elk and even the occasional mountain goat. The park has 10 miles of well-marked, maintained trails that lead through remarkable changes in habitat. For a short, easy route, follow the Nature Loop Trail at the upper picnic area. 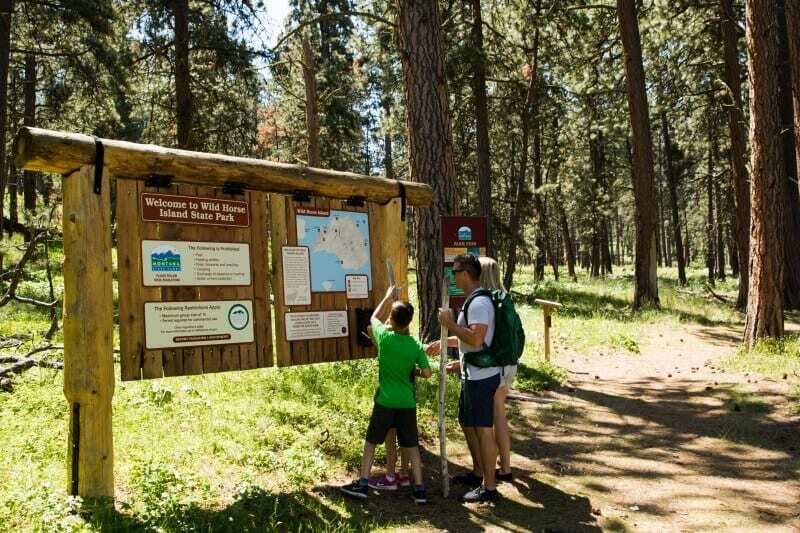 Hikers looking for more of a challenge can follow the 6-mile Grand Loop Trail, which runs between the camp’s two visitor centers and gives a good overview of the park. The park has a large campground with 40 campsites, a tipi and three cabins. 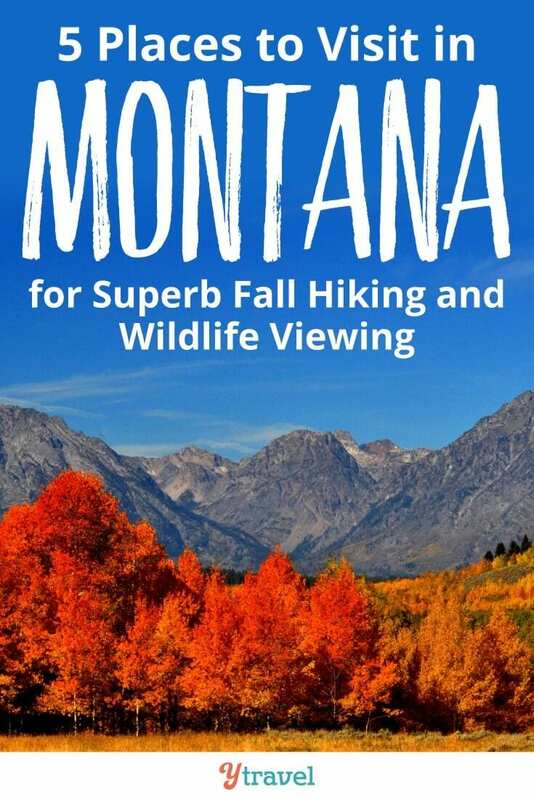 Well, I don’t know about you, but I’m ready for some fall hiking and wildlife viewing in Montana. I can’t imagine how beautiful it must be with the golden glow of autumn. I am so excited to visit Montana on our RV road trip across America next Spring/Summer. We plan to create a lot of content to help you learn more about the amazing things to do in Montana, with kids especially! What are some of your favorite hikes in Montana for wildlife viewing?